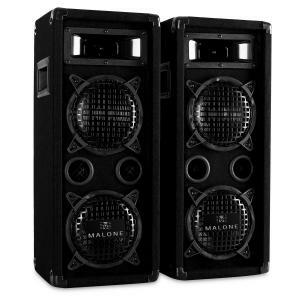 Malone PA-220-P Passive Speaker Pair 20cm (8") 2x200W RMS / 2x500Wmax. 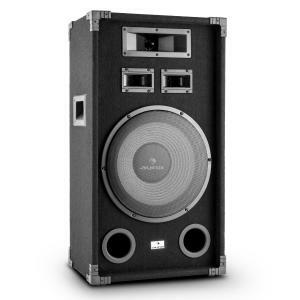 Auna PA-1200 Full Range PA Speaker 12" Subwoofer 500Wmax. 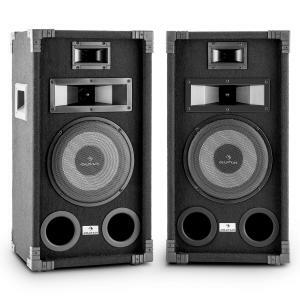 Passive PA Speakers at the Best Price! 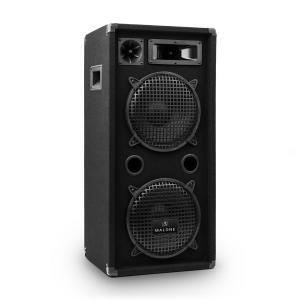 What is a passive speaker? 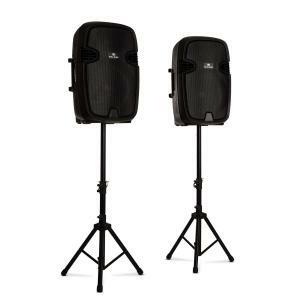 There are basically two types of loudspeakers that are used for PA purposes: powered speakers and passive speakers. 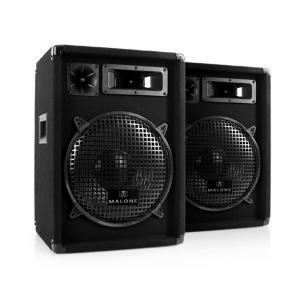 The latter does not come with its own power source – in other words, you have to plug it into an amp for it to run. 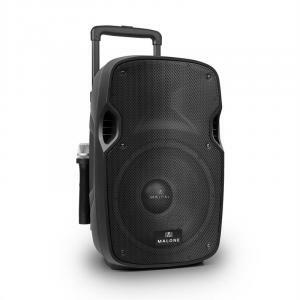 The choice of amateurs and professionals alike, passive PA speakers offer flexible arrangements when putting together a package for a pa sound system. 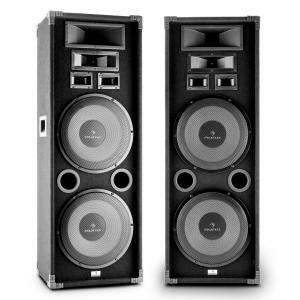 When choosing passive speakers, it’s important to consider the equipment that you’re pairing with them. 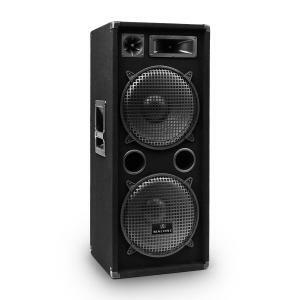 If you’ve got a professional power amplifier, it probably has enough wattage to blow smaller PA passive speakers. 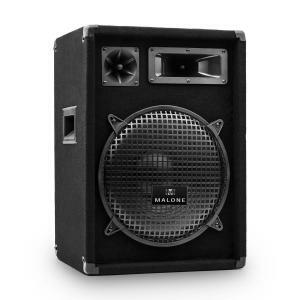 Always carefully match the impedence (rated in ohms) and power (measured in watts) to ensure the wellbeing of your audio equipment. 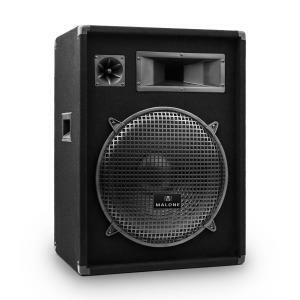 When the amp is built into the box, that’s called active. 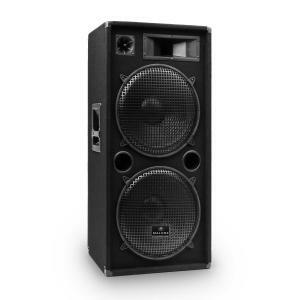 This is the easier solution if you value the convenience and mobility of having an all-in-one package. 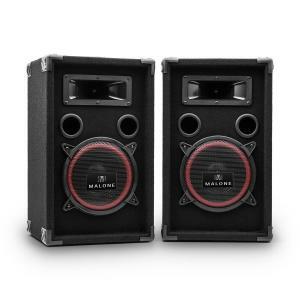 However, they are usually costlier than passive speakers. 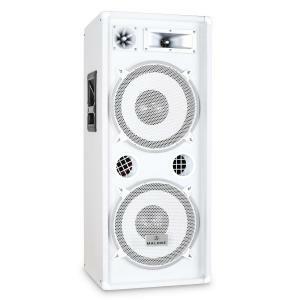 With a passive PA speaker, you have the option and flexibility with your power source and equipment. 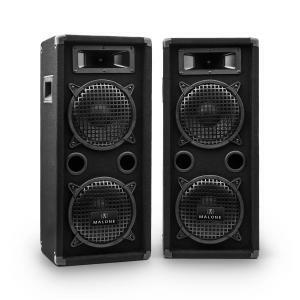 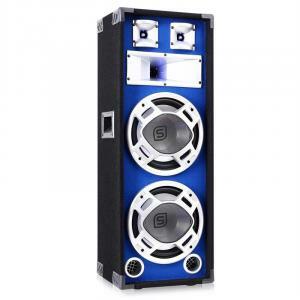 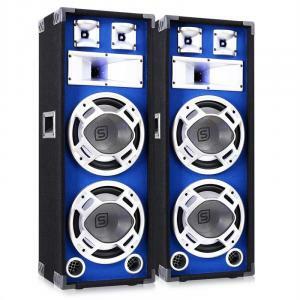 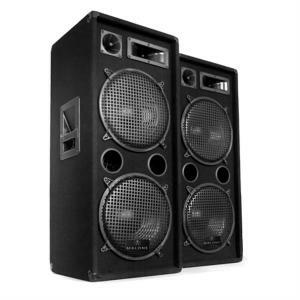 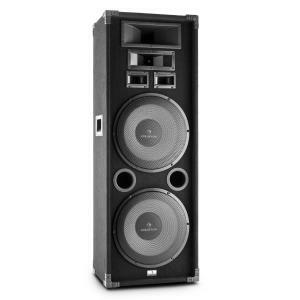 They are great for DJ’s and stage professionals on a budget. 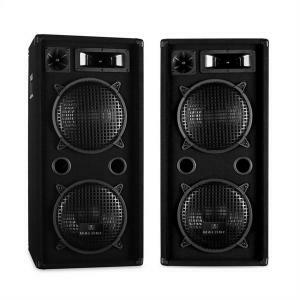 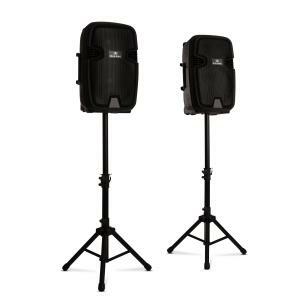 Passive PA speakers are used for many applications, for example parties, discos, speaking engagements, live music, outdoor stage events, home DJ’ing, weddings, and more. 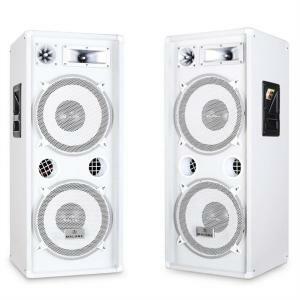 They can also be used in pubs and clubs, restaurants, cafes, and lounges to create the right atmosphere. 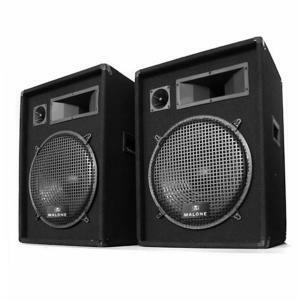 Creating the right sound system for yourself is a matter of budget, venue, and crowd size, so these three things calculated together are what will determine the contents of your PA system. 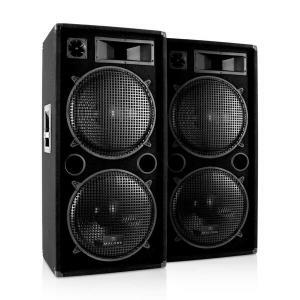 Another way to set the mood is with some LED disco lights.